Teledyne DALSA’s Rad-icon product family of large-area digital X-ray detectors offers users a high-speed, high-performance X-ray imaging detector with a fast, reliable PC interface (Camera Link) for easy integration. The Rad-icon product line leverages Teledyne DALSA’s advanced CMOS image sensing technology, which enables the delivery of low-dose X-ray images and yields higher image quality than a-Si flat panels and image intensifier devices. The detectors in this product line are capable of frame rates up to 30 fps, and communicate via a standard Camera Link cable. 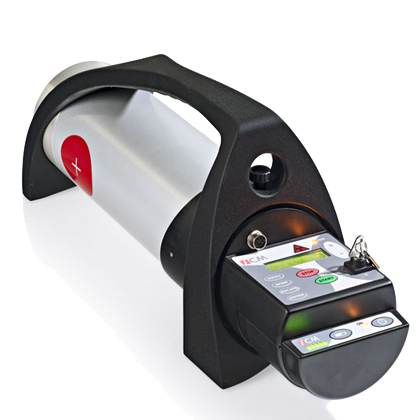 Rad-icon detectors are available with different Gd2O2S (Gadox) scintillator options to address a range of resolution and sensitivity requirements. The detector interface allows easy access to features such as adjusting the frame rate, single and multiple frame acquisitions, and control of advanced timing modes. Each detector ships with user-friendly software tools for stand-alone operation or easy integration with your application software.